In an Israeli hospital, two men battle with death. Two men who could not be more different – Salim Saadi, the legendary Arab Bedouin scout, and author Steven Plaut, an American-Israeli professor. They lie together in the ward, one next to the other, sharing their life stories, unearthing layer upon layer of the history of the Bedouin scouts, a history enshrouded in biblical themes and rich folklore. The Bedouin scouts are the largely unsung heroes of the Jewish state. 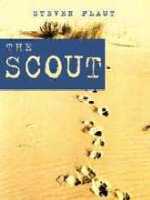 The Scout by Steven Plaut centers on the extraordinary true story of Salim Saadi, yet at the same time reaches outward, to embrace a broader examination of Bedouin-Jewish relations in Israel. From King Solomon to Napoleon, from the Arab revolt in the late 1930s to the 1973 Yom Kippur War, Plaut skillfully and tenderly arranges the numerous fragments of narrative to produce a richly variegated, mosaic-like portrayal of Bedouin history that is steeped in adventure, honor and spirit, and at the same time, brings to life a gripping and dramatic chapter of the tumultuous story of the Middle East.